Under the influence of development in the Internet of Things, cloud computing and data analytics, the way RFID value is delivered is evolving rapidly. Software-as-a-service (SaaS) models for device management and data collection will crowd out traditional software licenses, eliminating many server installations not only on-premises, but also single-tenant instances in commercial clouds like Amazon Web Services or Microsoft Azure. A new RFID data economy will emerge as cloud services for simple data brokerage and device management add data analytics and other services. Before we get to SaaS, let’s note that solution providers are rapidly migrating their software from on-premises servers to the cloud. The installation of servers in every outlet of a retail chain is a significant deployment task which inflates costs for up-front capital and ongoing maintenance. For security reasons, not everyone uses the cloud: last year I was told that Homeland Security still required their software to be installed in servers on the premises. 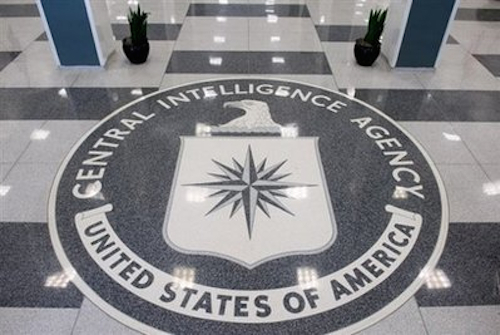 However, the go-live of the CIA’s private cloud in August should loosen that logjam. In retail, RFID solutions vendors Tyco, Checkpoint, Nedap and SML/Xterprise all offer their products via a shared or private Cloud. Tyco’s TrueVUE version 5 enables retail employees to access store data on loss prevention, inventory and traffic via iPads and iPhones. SaaS is attractive for small and medium-sized businesses that want to minimize up-front costs. Pay-as-you-go rates cover the software license and maintenance. Because of its shared-resource, multi-tenant architecture, SaaS is inherently scalable and therefore less expensive for the vendor to deliver.1 As RFID migrates from the big chains to smaller operations, SaaS will become more common. If you’re like me, when you first confronted this topic you assumed that once your solution was in the cloud, SaaS was a short jump. Not necessarily. While it is possible to rent a VM server instance at AWS or Azure and install software on it, it’s still a single-instance, single-tenant architecture without the inherent scalability of multi-tenant SaaS. RaaS has the same appeal as SaaS for small and medium-sized businesses. The capital investment is minimized for the user, and, depending on the terms, the vendor can absorb more of the technology risk, taking most of the excuses off the table for the user. As one CIO told us, "If the monthly cost for the service is neutral, why wouldn't I do this?" An example of a mature RaaS provider is Terso Solutions. Terso provides secure cabinets, refrigerators and freezers that store tagged, high-value inventory. Vendors of medical devices, rare chemical reagents and pharmaceuticals use these enclosures to store consigned inventory at point-of-demand. When the hospital employee takes a medical device out of the enclosure, the RFID subsystem communicates that to the cloud, triggering replenishment and invoicing. Terso offers this on a RaaS basis, taking advantage of economies of scale and sparing both the hospital and the device vendor the need to install and maintain the hardware. In contrast to SaaS, however, RaaS involves a capital investment in hardware that the vendor needs to make. While financing firms will underwrite such a project, and while larger vendors will have easier access to the capital required, a contract from a large end-user will provide the necessary credibility for smaller vendors. Some remedial analytics might be possible with handheld RFID, but the continuous reads from fixed infrastructure lead to a much richer flow of data. As we reported in our NRF roundup here, several RFID firms demonstrated fixed infrastructure hardware at NRF. These included Impinj’s xArray RFID Gateway and Tyco Retail Solution’s IDX-8000 8-port reader and beam-steerable antenna combo. Both of these solutions maximize coverage by steering the beam around the space under the reader, reducing the number of physical readers required for a given area. Impinj’s use of the term “gateway” is a nod to the Internet of things. In the IoT, some devices connect directly to the Internet via their own IP address, while others without an IP address connect via gateways. An RFID reader is merely an IoT gateway, and RFID is one of many alternative sensor types. There has not yet been a flowering of data analytics for RFID. But Impinj’s solution will provide location and time information along with tag IDs to create the information-rich data stream discussed above, and the company talks about Item Intelligence in their marketing materials, suggesting things to come. Southern California technology vendor Mojix, whose technology features a central “Star Receiver” surrounded by a constellation of e-nodes, talks about detecting "pre-theft" and other abstract events. Tyco’s offering includes exit gate readers that combine traditional EAS2 and RFID in one package, along with EAS Intelligence and Inventory Intelligence software under the TrueVue brand.3 Tyco combines this with Traffic Intelligence, which uses video and other sensors to analyze traffic patterns. You don’t have to be a reader vendor to participate. With its new Smart Cosmos software platform, Smartrac aims to link ID data to information about tagged objects in the cloud to enable solutions vendors to implement services such as authentication, identification & tracking. These are the early indications of an emerging marketplace for RFID data analytics that will develop rapidly through 2016. Users should consider these trends when researching RFID solutions.